Foundations: What is a Network? What does the network accomplish for us? The OSI Model and layers of network functionality. TCP/IP concepts, IP address format, public and private addressing, and address classes. 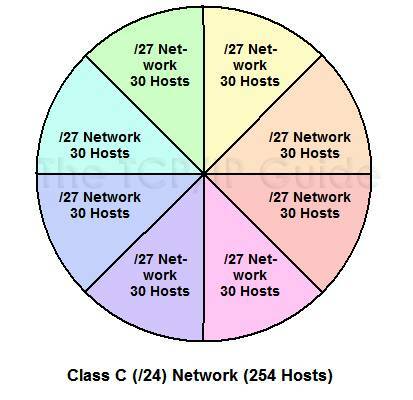 Why having TWO addresses is the key to successful network communication? When it communicates across the network using TCP or UDP? This decision determines how reliable the data transfer will be. Port numbers help network communication between devices, allowing you to dictate what service you are trying to reach. Ethernet defines the standard for LAN communication around the world. Undersand how networks operates. 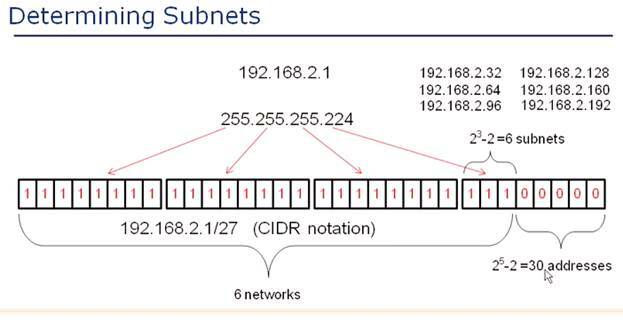 Ethernet standard, CSMA/CD (the rules of communication), and the architecture of a MAC address. crimping Ethernet cables, primary physical standards of Ethernet: UTP and Fiber Optics, straight-through vs. crossover cables, and an end-to-end picture of cabling in a corporate environment. Ethernet's use of CSMA/CD allowed it to obtain much faster speeds than its competitor (token ring); however, it also led to many problems with collisions in larger networks. Understanding of how the network switch fits into our network environments. general navigation and help features of the IOS. the initial boot process and configuration dialog, and the configuration of a VLAN interface. Initial security of your switch, primarily focusing on configuring passwords, logon banners, and SSH. Enabling port security for your network, control of the number and type of devices that attach to your network. common problems in a LAN environment. improving your efficiency on Cisco devices. and the best way to design wireless for your organization. steps to take to successfully implement and secure a wireless network. initial configuration of a Cisco router. Cisco router management through the SDM. configuring a DHCP server using SDM. configuring the foundational form of routing known as static routing. dynamic routing works much better when you want to get the job done fast. configure and monitor our devices are Telnet and SSH. Cisco Discovery Protocol (CDP) to unveil an undocumented network. moving files to and from these file systems. A passive intruder just listens and records the control and data messages on the channel and doesn’t make any modification to the message, while the active intruder can remove messages from the channel and/or add messages into the channel. An active intruder threat involves a situation where an individual or individuals access a system with the intention to cause serious harm. Some systems monitor failed Authentication attempts, and if too many attempts to sign on with a single account are detected, the Account is locked. This mechanism is intended to deter an Intruder, who may attempt to guess the password for one or more Accounts. An Audit Trail documents all security events. These include authentication attempts, change request input and authorization, access provisioning and deactivation events, Password Synchronization and reset, profile updates, etc. Biometric Authentication is any process that validates the identity of a user who wishes to sign into a system by measuring some intrinsic characteristic of that user. Biometric samples include finger prints, retinal scans, face recognition, voice prints and even typing patterns. A Breach of Confidentiality is a Security violation where the Confidentiality of some data was lost. Encryption is a process of translating a message, called the Plaintext, into an encoded message, called the Ciphertext. This is usually accomplished using a secret Encryption Key and a cryptographic Cipher. Symmetric Encryption, where a single secret key is used for both encryption and decryption. Asymmetric Encryption, where a pair of keys is used -- one for Encryption and the other for Decryption. Decryption is the reverse process to Encryption. Frequently, the same Cipher is used for both Encryption and Decryption. While Encryption creates a Ciphertext from a Plaintext, Decryption creates a Plaintext from a Ciphertext. An Encryption Key is a sequence of numbers used to encrypt or decrypt data. A Private Key is a secret key, used in Asymmetric Encryption. It is mathematically equivalent to a Public Key, but is kept secret. This is one half of a matching key-pair. A Public Key is a publicly distributed key, used in Asymmetric Encryption. It is mathematically equivalent to a Private Key, but is widely distributed. Public Key's are frequently certified by a Certificate Authority, so that users of this key can verify its authenticity. AKA as Asymmetric Encryption. It uses two keys where, one key encrypts, only the other can decrypt. The keys are interchangeable, in the sense that if key A encrypts a message, then B can decrypt it, and if key B encrypts a message, then key A can decrypt it. In public key encryption, one of the keys is known to both receiver and sender. The key is public in other word. The other key is known only by sender. A Hash is a code, calculated based on the contents of a message. This code should have the property that it is extremely difficult to construct a message so that its Hash comes to a specific value. Hash's are useful because they can be attached to a message, and demonstrate that it has not been modified. If a message were to be modified, then its hash would have changed, and would no longer match the original hash value. A Security intrusion which causes a system to be damaged, and where the damage is sufficient to disable at least one of the services offered by that system, is called a Denial of Service. Sytem includes multiple, redundant servers, and continues to offer full functionality even when one of those servers ceases to function. It detects failures in updates to target systems, and automatically retries failed operations until they succeed. A set of data is said to have suffered a Loss of Integrity if some event has caused it to be corrupted or incorrectly altered. This constitutes a Security violation. or any combination of these. It might be implemented as an Application Level Firewall or a Packet Level Firewall. It might also implement a Content Filter, such as a Virus Wall. A Packet Level Firewall protects an internal network against unauthorized access and attack from a public or external network by blocking some packets. 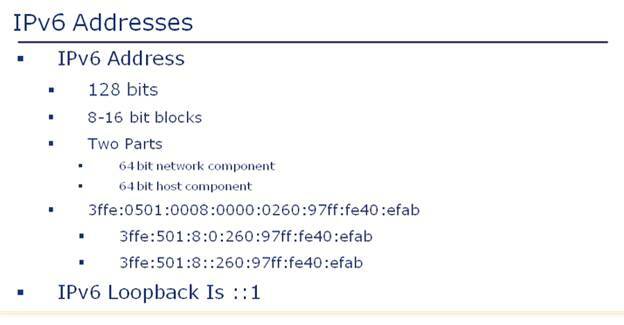 Packets may be blocked based on source IP address, destination IP address, source or destination TCP port number, other packet header fields, time of day or user authentication. 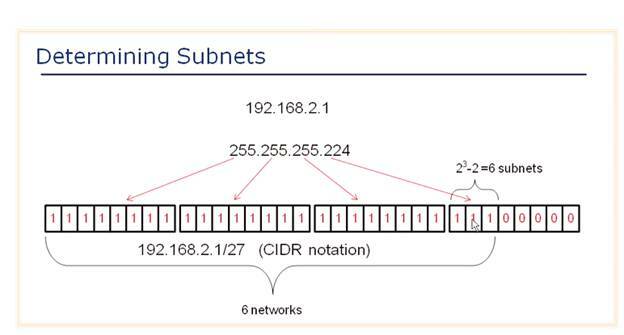 Filtering is carried out on a packet-by-packet basis, and the entire Packet Level Firewall may be implemented on a Router. Normally all filtering happens inside the Operating System, which makes this type of Firewall very fast. IP is the Internet Protocol. It is a mechanism by which packets may be routed between computers on a network-of-networks. IP allows computers to be connected using various physical media, ranging from modems to Ethernet cabling, fiber-optic cables and even satellite and radio links. IP is designed to be robust, and to gracefully handle the loss of some connections. Individual packets of data are routed by hosts with little knowledge of the overall network structure - just a few local routing rules. The global Internet is constructed using the IP network protocol. may be induced to execute commands in that packet, as though they came from the authenticated connection. Improved reliability and routing filters in major Internet routers make this attack largely obsolete on the Internet in cases where the Intruder and target system are topologically distant. A Packet Sniffer is a program that can record all network packets that travel past a given network interface, on a given computer, on a network. It can be used to troubleshoot network problems, as well as to extract sensitive information such as Credentials from unencrypted Login Session's. HTTP is the Hyper-Text Transfer Protocol. It is the most popular network protocol for exchanging documents on the World-Wide Web. Uses port 80. Ftp is the file transfer protocol. It is based on the TCP/IP network protocols. Ftp allows a user on one machine to send files to or retrieve files from an Ftp server. FTP uses User ID / Password Credentials, sent as Plaintext over the network, with no Encryption, for Authentication. Uses port 21. SSL is the Secure Socket Layer. It is a protocol that encrypts a single TCP session. Using this Asymmetric Encryption, all data exchanged over a TCP socket can be cryptographically protected. SSL is the base of HTTPS - the secure WWW protocol. TCP is the Transmission Control Protocol. It is used to establish connection-oriented, sequenced and error-free sessions over IP networks. UDP is the User Datagram Protocol. It is used to send individual packets across an IP network, in an unreliable fashion. This means that successful, error-free delivery of a message is not guaranteed. Ssh is the Secure Shell and improves on them by incorporating Asymmetric Encryption and a simple Public Key Infrastructure. value to an Intruder.A Virtual Private Network makes it possible to pass private data over a public network, thus simulating a private network without the expense of separate, protected communication media. Viruses (thus acting as a Virus Wall). They also can be used to access wesites annonymously hiding your IP. Spam is unsolicited electronic mail, usually delivered over the Internet. Some SMTP servers can filter out Spam (thus making a Spam Filter). Some jurisdictions are trying to make Spam illegal. A Spam Filter is software that processes electronic mail messages, either for a single user or an entire network. While processing these messages, the Spam Filter attempts to identify Spam messages, and deletes them. The Domain Name System (DNS) is a hierarchical distributed naming system used in internet. DNS translates domain names to IP addresses needed by users of internet. With ever expanding ICT uses enormous amount of provate data collected, processed and stored as part of business operations. It's important that technologists and organisations aware of Data Protection and Privacy Law. Data Subject: This is the person whose data is stored on systems. They give their personal data to allow organisations to for various needs. Data Controller: This is a person/organization that collects data from Data Subjects. Data Processor: This is a organisation that processes and manages data from data controllers. Data Controller ensures that the Data Processor is bound to manage the personal data of the controller’s subjects according to the wishes of the controller. The Data Processor will not edit, delete or view the subject data without permission of the Controller. The Data Processor will not pass the data onto a third party. The Data Processor will have the appropriate technology in place to protect the data. At the end of the contract the Data Processor will remove all of the data they have managed. The Data Processor will not transfer the data without the permission of the Data Controller. The Data Processor may use aggregate statistical data to optimise delivery of services. Data Processor should publish detail on their own service performance. ICT will become powerful extension of human beings designed to augment intelligence, learning, communications, and productivity. ICT will become intuitive—they will “learn,” “recognize,” and “know” what we want, who we are, and even what we desire. Computer chips will be used everywhere, and they become invisible-embedded in everything from brains and hearts, to clothes and toys. transportation and food production, better than humans will. Online resources will enable us to download applications on-demand via wireless access anywhere and anytime. ICT will be voice-activated, networked, video-enabled, and connected together over the Net, linked with each other and humans. Computers will have digital senses-speech, sight, smell, hearing-enabling them to communicate with humans and other machines. Neural networks and other forms of artificial intelligence will make computers both as smart as humans, and smarter for certain jobs. Human and computer evolution will converge. Synthetic intelligence will greatly enhance the next generations of humans. As computers surpass humans in intelligence, a new digital species and a new culture will evolve that is parallel to ours. "Sustainable Development Through Effective Man-Machine Co-Existence"
2. Industrial Automation and modern civilization: This will try to discuss the latest developments in industrial automation. 3. A wired society and Tele-presence: A discussion on novel concepts in virtual reality,kansei systems, and tele-presence in the context of a networked system. It is expected to cover novel results as to how these technologies have revolutionized distributed production and marketing, education, medicine and surgery, space travel, defense etc. 4. Intelligent robots and man-machine co-existence: This will cover new developments in intelligent robots, their hardware, learning algorithms, sensory systems, and actuators. The development of ICT should be sustainable that machine shall not take the place of the man. Machines shall always be a tool for man, not other way. Artificial intelligence (AI) studies and develops intelligent machines and software. It develops intelligents agents which perceives its environment and takes actions that maximize its chances of success. 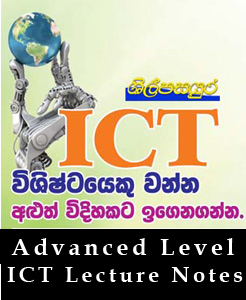 Ubiquitous computing is a model of human-computer interaction in which information processing has been thoroughly integrated into everyday objects and activities. Someone using ubiquitous computing uses devices and systems, and may not even be aware of it. The machines that fit the human environment instead of forcing humans to enter theirs. AR is a live, direct or indirect, view of a physical, real-world environment whose elements are augmented (or supplemented) by computer-generated sensory input such as sound, video, graphics or GPS data. As a result, the technology functions by enhancing one’s current perception of reality.By contrast, virtual reality replaces the real world with a simulated one. Augmentation is conventionally in real-time and in semantic context with environmental elements, such as sports scores on TV during a match. With the help of advanced technology the information about the surrounding real world of the user becomes interactive and digitally manipulable. Artificial information about the environment and its objects can be overlaid on the real world. Context awareness is a property of mobile devices that is defined complementary to location awareness. Whereas location may determine how certain processes in a device operate, context may be applied more flexibly with mobile users, especially with users of smart phones. Context awareness originated as a term from ubiquitous computing or as so-called pervasive computing which sought to deal with linking changes in the environment with computer systems, which are otherwise static. The term has also been applied to business theory in relation to business process management issues. QC developed on quantum physics where atoms are used as memory and processors. They are called quantum bits (qubits). Qubits can perform certain calculations exponentially faster than conventional computers. While traditional computers encode information into bits using binary numbers, either a 0 or 1. They can do calculations on one set of numbers at once, quantum computers encode information as a series of quantum-mechanical states can represent 1 , 4 or 16 states. It can do computations on many different numbers at once. Quantum computers are more powerful than a classical computers. Quantum computing is used in cryptography and modeling and indexing very large databases. This is a subfield of artificial intelligence that involves continuous optimization and combinational optimization problems. Evolutionary computation uses iterative progress, such as growth or development in a population. This population is then selected in a guided random search using parallel processing to achieve the desired end. Such processes are often inspired by biological mechanisms of evolution. As evolution can produce highly optimised processes and networks, it has many applications in computer science. A genetic algorithm (GA) is a search heuristic that follows natural evolution. It is used to generate useful solutions to search problems using techniques inspired by natural evolution, such as inheritance, mutation, selection, and crossover. Genetic algorithms find application in bioinformatics, phylogenetics, computational science, engineering, economics, chemistry, manufacturing, mathematics, physics and other fields. NIC aims to develop new computing techniques after getting ideas by observing how nature behaves in various situations to solve complex problems. Nano technologies are best examples of NIC. Nature Inspired Computing techniques are so flexible that they can be applied to wide range of problems, so adaptable that they can deal with unseen data and capable of learning, so robust that they can handle incomplete data. They have decentralized control of computational activities. Specifies the style sheet language as a content-type (MIME type). Specify the device that would display the document. Default value is all. This is optional attribute. The CSS defined in external style sheet file takes lowest priority. CSS defined in <style>...</style> tags will override any external style sheet. The inline styles takes highest priority and override other <style>...</style> tags or external styles. % measurement as a percentage of enclosing element. em relative measurement for the height of a font in em spaces. thus, 2em would be 24pt. pc measurement in picas. A pica is equivalent to 12 points; thus, there are 6 picas per inch. pt measurement in points. A point is defined as 1/72nd of an inch. px measurement in screen pixels.